An enchanting addition to the bedroom, or any part of the home, the Woburn Mirror Oak is a perfect partner for dressing tables to assist daily beautification routines. Finished with a simple yet stylish design, the Woburn Mirror Oak lends itself extremely well to essentially any style of room. 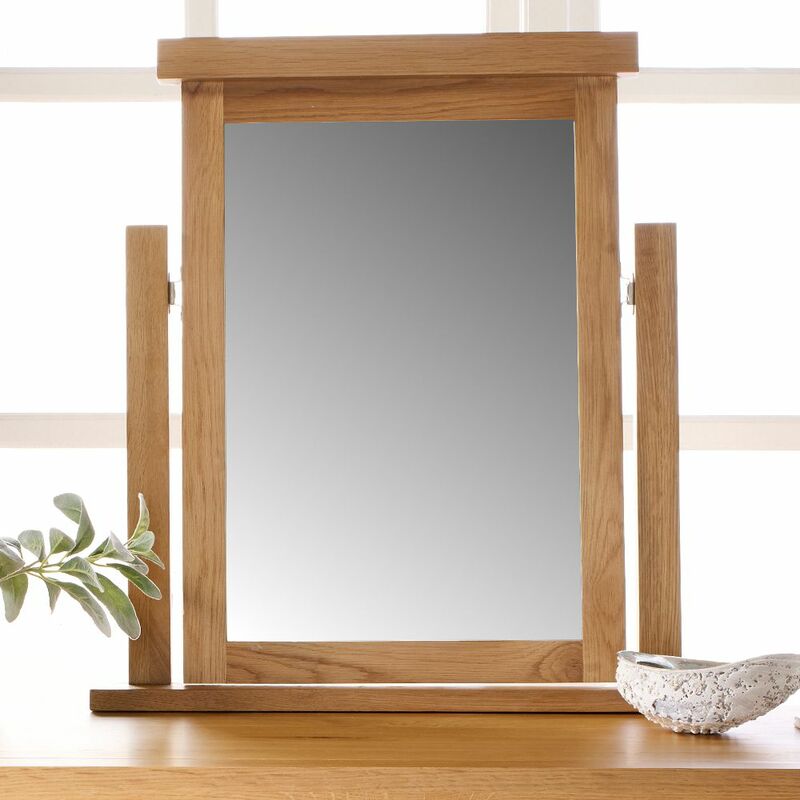 Functioning simply enough as a delightfully compact mirror, the Woburn Mirror Oak features a wonderful natural finish, thanks to being crafted from solid oak. This pleasing appearance helps the Woburn Mirror Oak look right at home in rustic and traditional bedrooms, as well as minimalistic and contemporary stylised rooms. 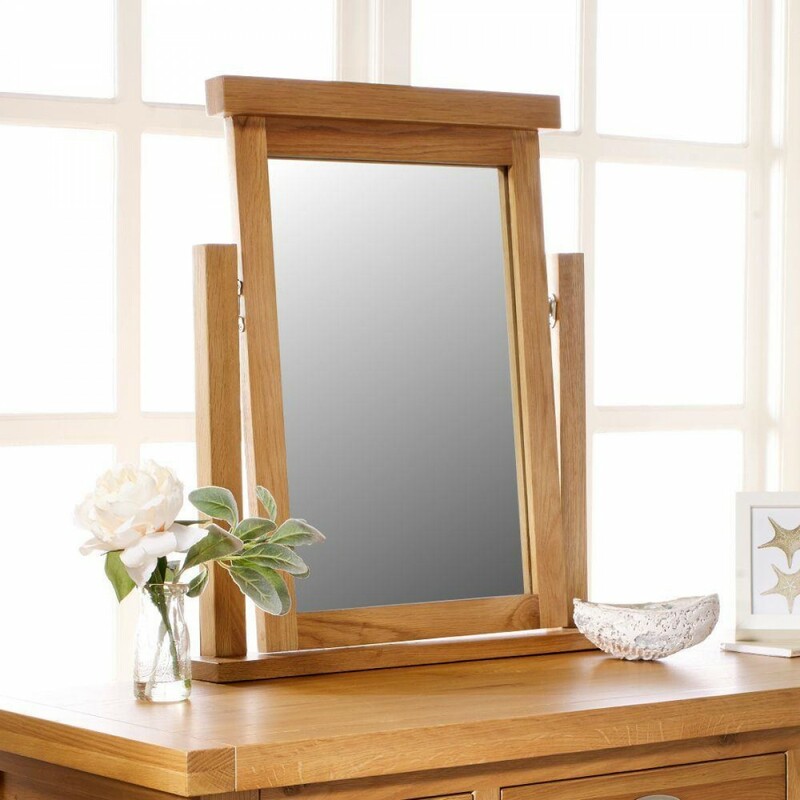 Crafted from high quality solid oak, the Woburn Mirror Oak is made to be durable and last for years straight out of the box. Supplied already assembled, the Woburn Mirror Oak can be placed anywhere in the home as soon as it arrives at the door. 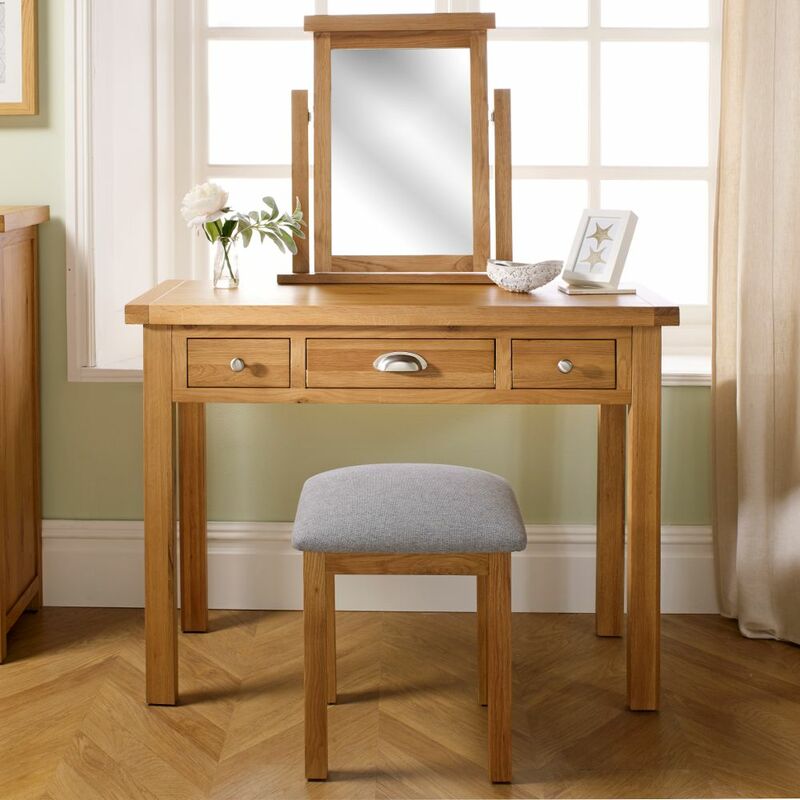 Part of the The product is part of the Woburn Oak Wooden Bedroom Furniture Collection, the Woburn Mirror Oak is utterly charming when part of an ensemble with the The product is part of the Woburn Oak Wooden 3 Drawer Dressing Table and the The product is part of the Woburn Oak Wooden Stool. The same can be said with any part of the Woburn collection, as the Woburn Mirror Oak is an adaptable piece of furniture.